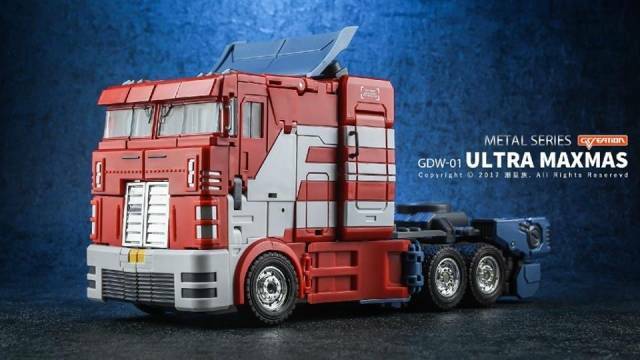 GDW-01 by Gcreations stands 9.5"/24CM tall in robot mode and transforms from robot to big rig cab and back! Figure features rubber tires and die-cast parts in the legs, figure can connect to MP Trailer. My first Gcreation purchase. 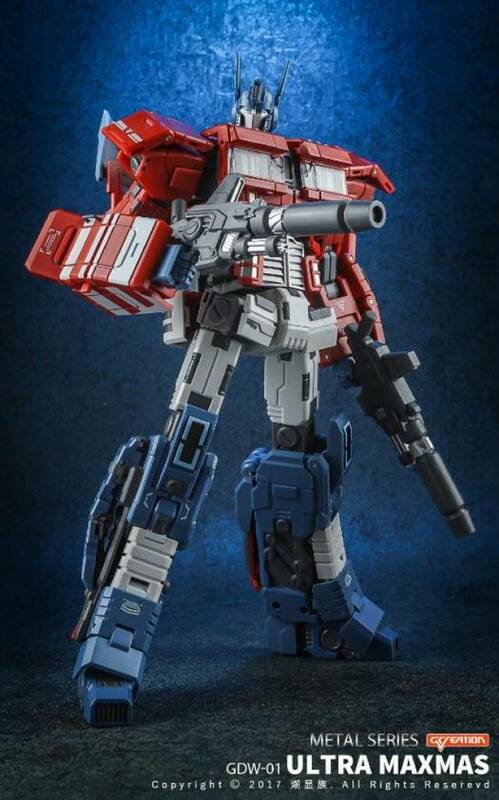 I must say I am impressed with the engineering of this very complicated figure. 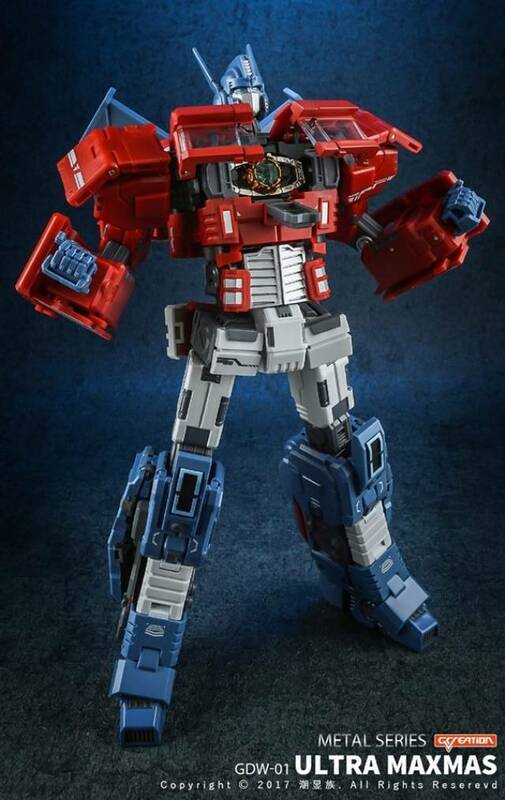 A tall and valiant looking robot mode and a solid and boxy semi. But in between-- good lord does this guy slide and hinge into a thousand little connected bits. Not for the Clumsy or impatient.. he does need to be handled lovingly. Includes two lovely hand weapons that key into his fists for a solid hold. 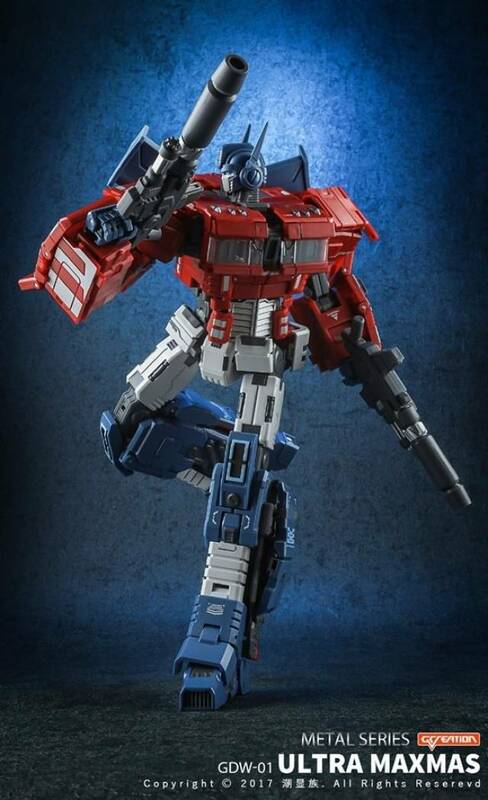 Just can't help smiling when I look at this figure because it is such a handsome rendition of Prime. There is more metal in the legs than I expected and it comes with the most beautiful toy matrix I have ever seen- also made of metal! One note- the one that came to me had both attached head antennae snapped in half in a way that looked intentional- as if it wouldn't fit in the box at the factory otherwise?? There is a spare pair packed in the box but this was very disconcerting and I'd be interested to know if all of them are like this. I enjoy the beauty of this figure. I like the way it looks in both modes. But the transformation is hard as all get out. 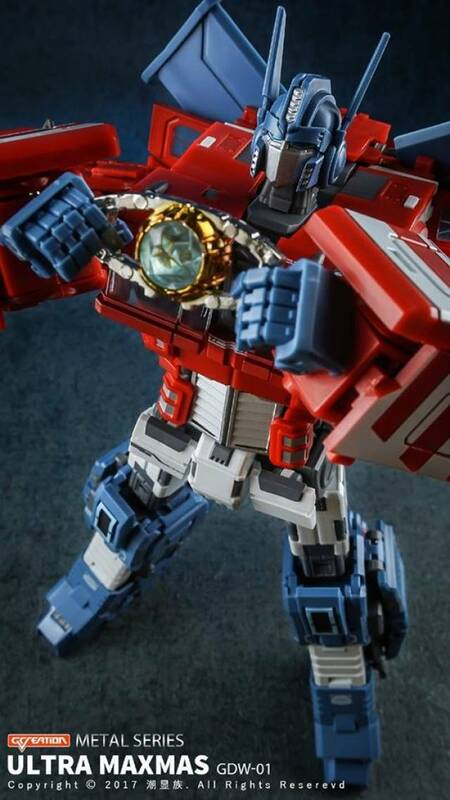 I first transformed it and part of it broke so I contacted Tfsource. We'll see what happens. 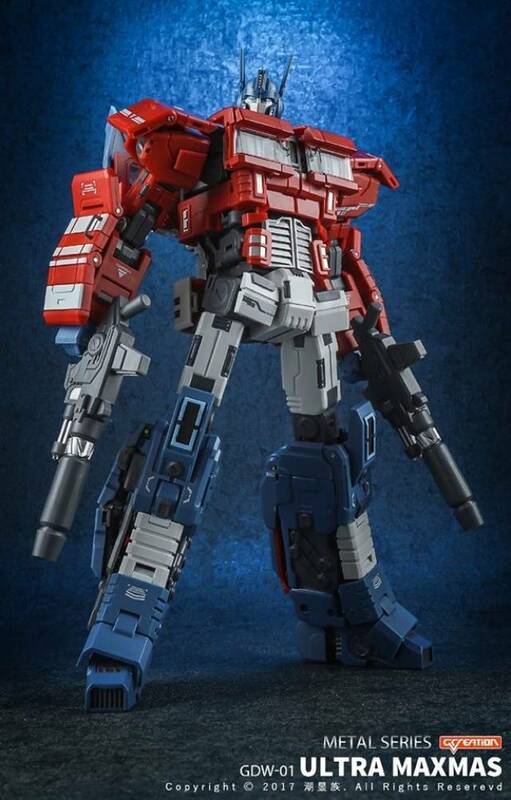 "Fantastic looking, excellent engineering, stressful transformation"
This figure is amazing to look at in robot and truck mode with great accuracy to the IDW representation. But, have a drink ready to calm nerves after transforming him. 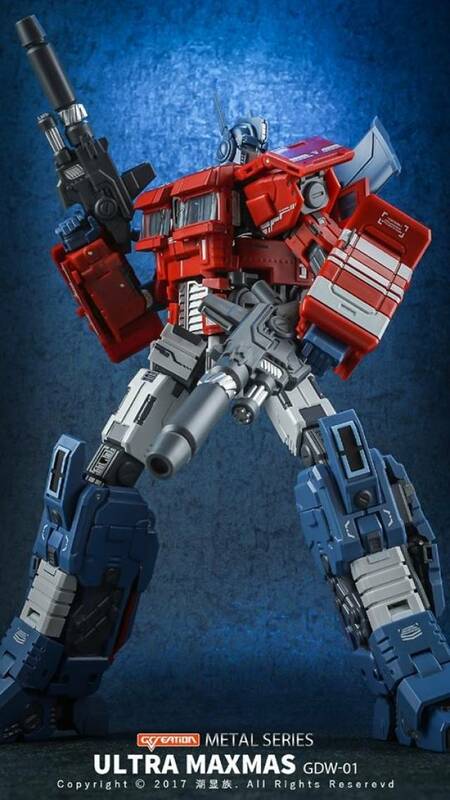 He's intricate, solid enough, and very much a challenge to transform the first time. I own Ultra Maxmas and Generation Toy's Op Ex, and deciding between the two comes down to playability vs aesthetics. If you want to have fun transforming, go with Op Ex. 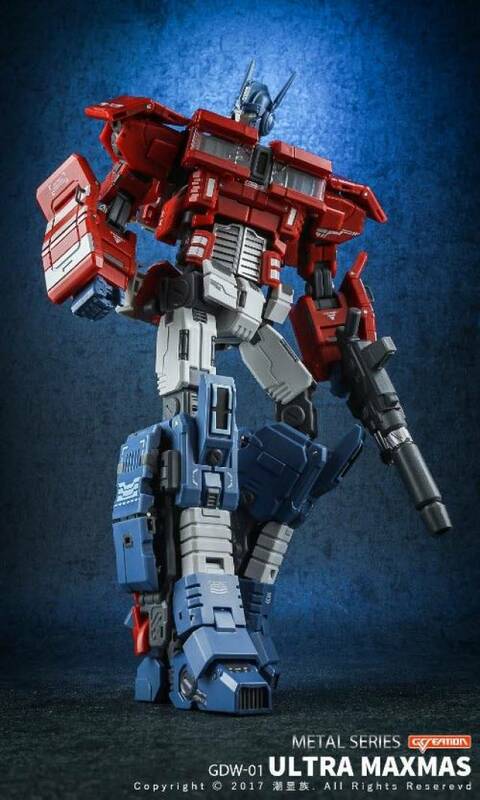 If you want an eye-catching and accurate figure, go with Maxmas, just be patient and gentle with the transforming. Between the two, I find them to be overall equivalent in worth.